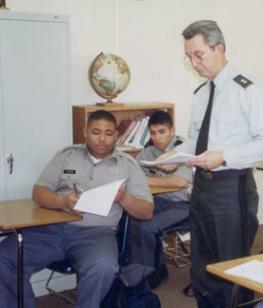 from 1892 to 1977; Camden Academy, which was located on the campus from 1949 to 1957; and Camden Military Academy. 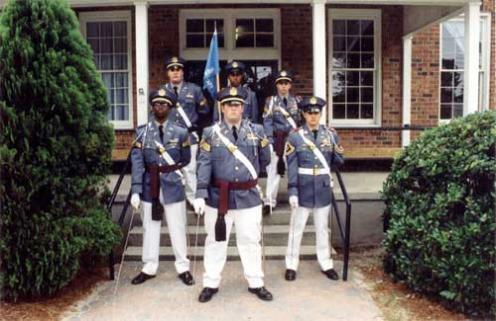 Carlisle Military School was established in 1892 as the Carlisle Fitting School of Wofford College. It was named in honor of Dr.
operated it as a military preparatory school until it closed in May 1977. Risher led the Academy through a reorganization as a non-profit, tax-exempt institution. individual strengths and talents while at the same time to respect the rights of others. physically, and morally, to face the trials and meet the opportunities that will be his after he leaves Camden Military Academy. appointment. If you would like to arrange a campus visit, please call us at 1-800-948-6291. We look forward to seeing you soon! and in JROTC. Additional units must be earned from approved academic electives. addition, a mandatory teacher-supervised study period is conducted five nights a week. All students are monitored, and assignments are checked. Students who maintain a "B"
other students during this time by faculty permission and is open daily to all students. to assist in that usage. Corps of Cadets consisting of four companies. cadets seeking advice or counsel. teaches a young man to take pride in his country.